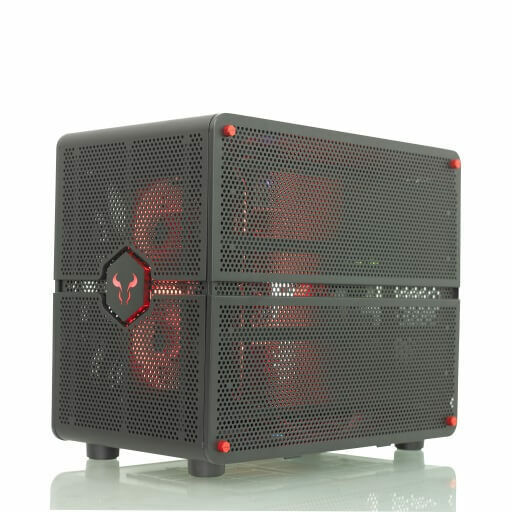 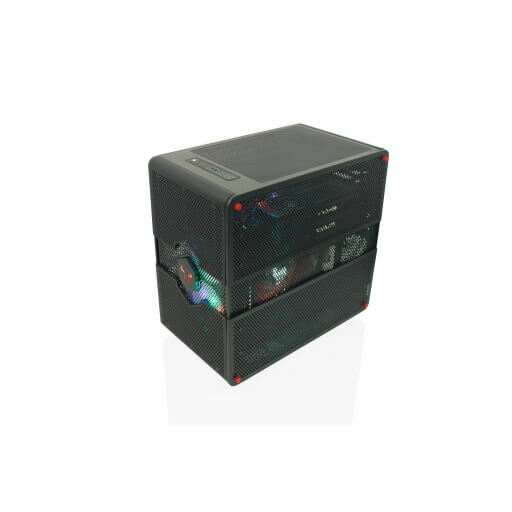 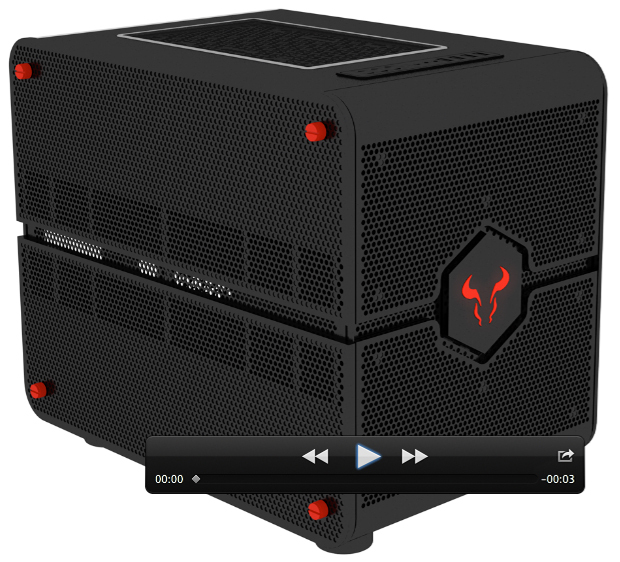 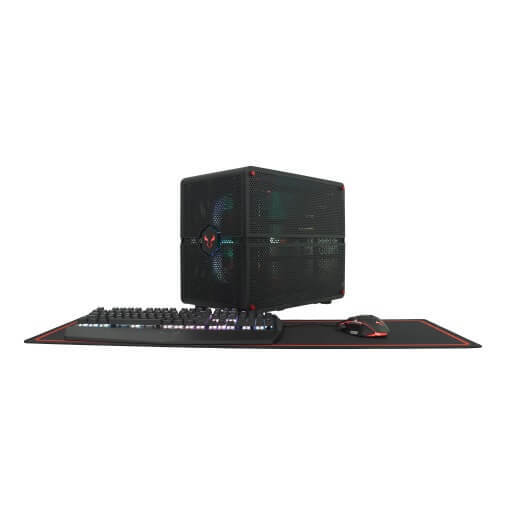 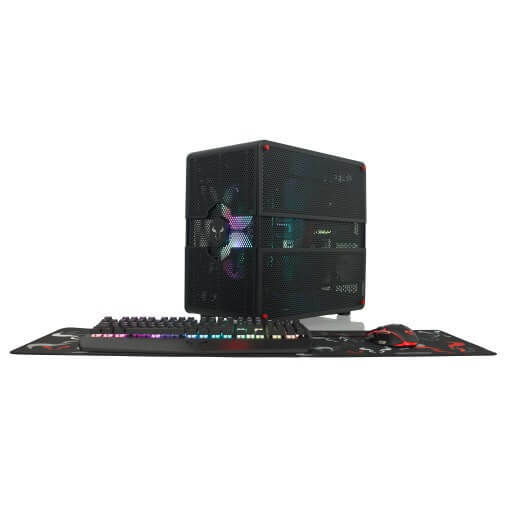 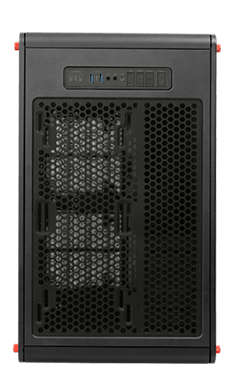 RIOTORO Morpheus, the first convertible PC case, resizes to fit your evolving needs. 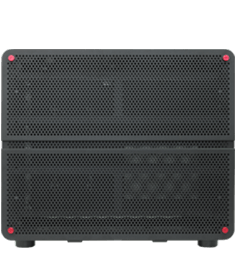 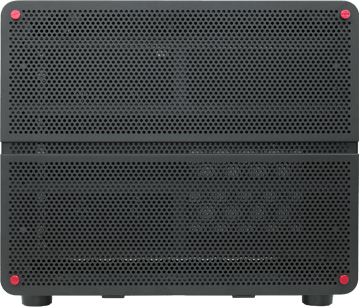 The perforated mesh exterior and keeps the PC cool, and USB Type-C provides state-of-the-art connectivity. 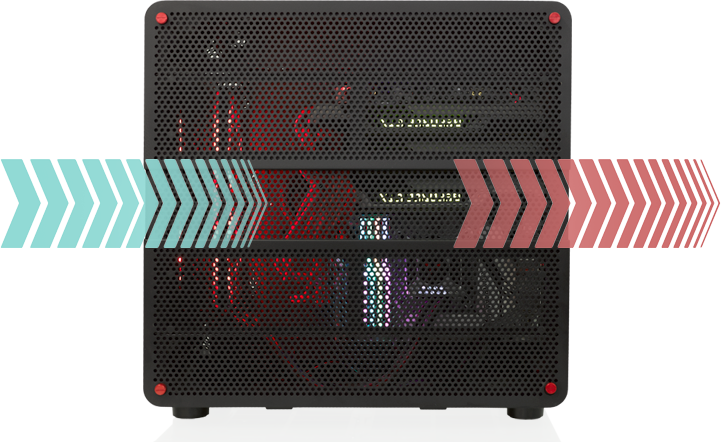 PC performance has evolved dramatically, however the way PCs are built, designed, and constructed have failed to keep pace. 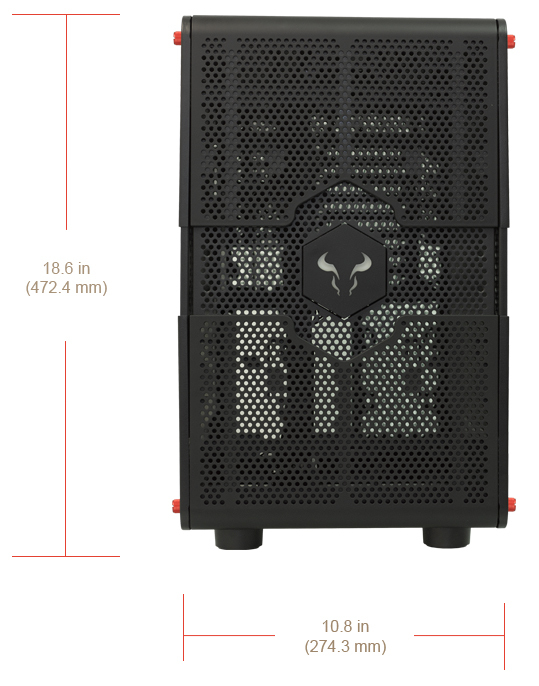 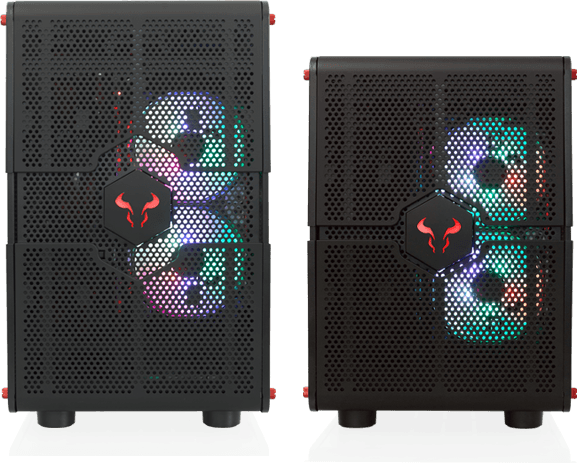 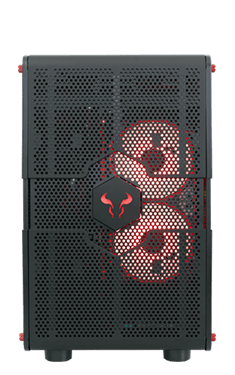 RIOTORO is committed to evolving PC design to make PCs more unique, customizable, and easier to build. 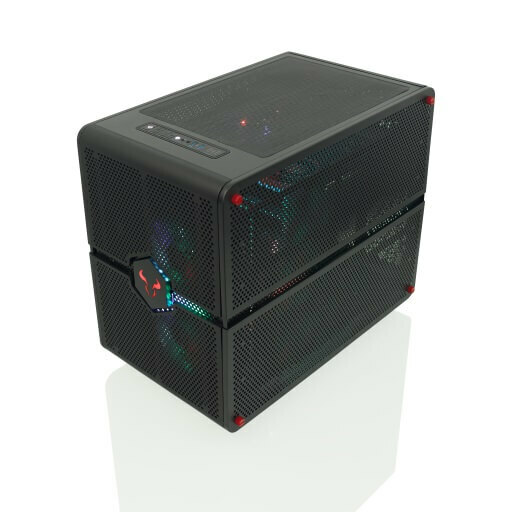 Morpheus, was created to break the traditional rigid format of PC cases, enabling gamers to evolve their PC along with their changing needs. 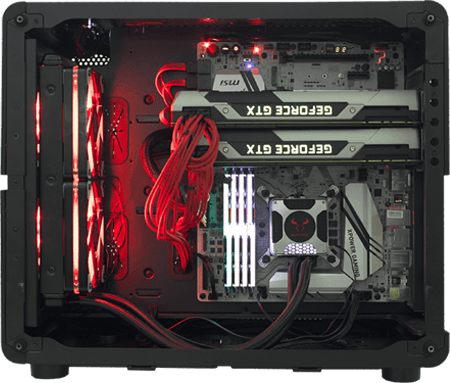 Morpheus ends the debate of mini versus mid-tower without compromising on style and performance. 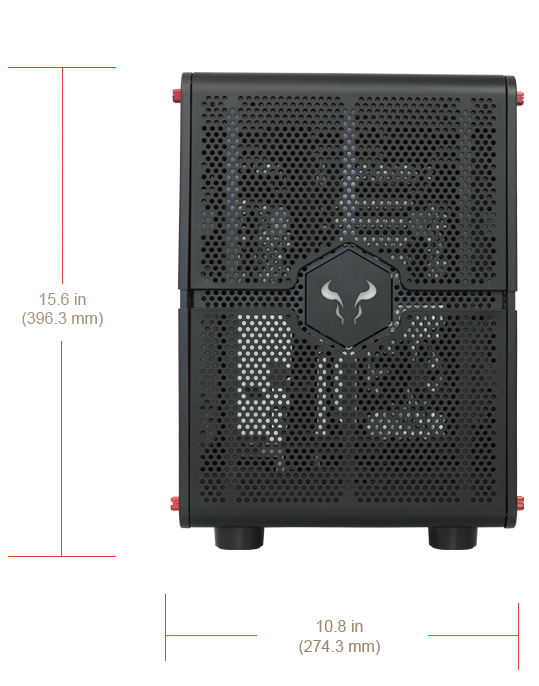 Morpheus can be built as short micro-ATX, and when you want to add a second GPU, audio card, or more storage, Morpheus can easily shape-shift into a full-size ATX mid-tower. 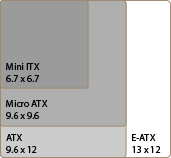 The top panel has the latest in external conectivity, to provide power and speed to the latest gadgets in the market. 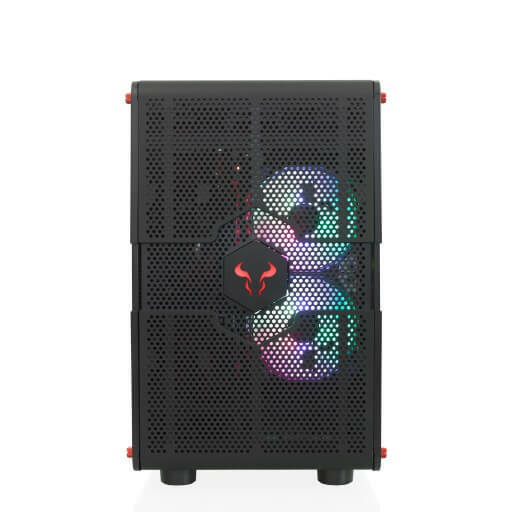 In addition, it provides on-the-fly configuration controls so you can customize lighting color and fan effects. 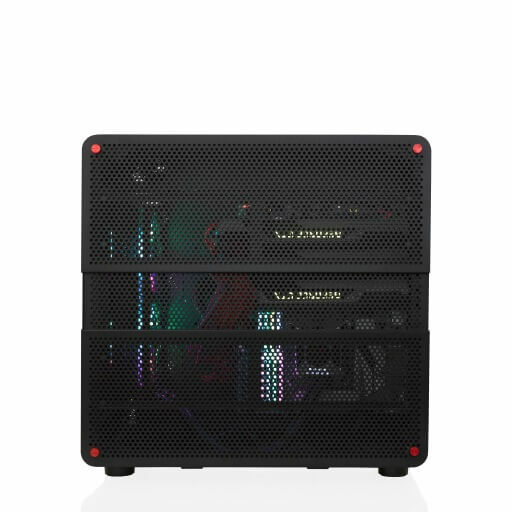 100% compatible with the latest RIOTORO RGB PRISM fans. 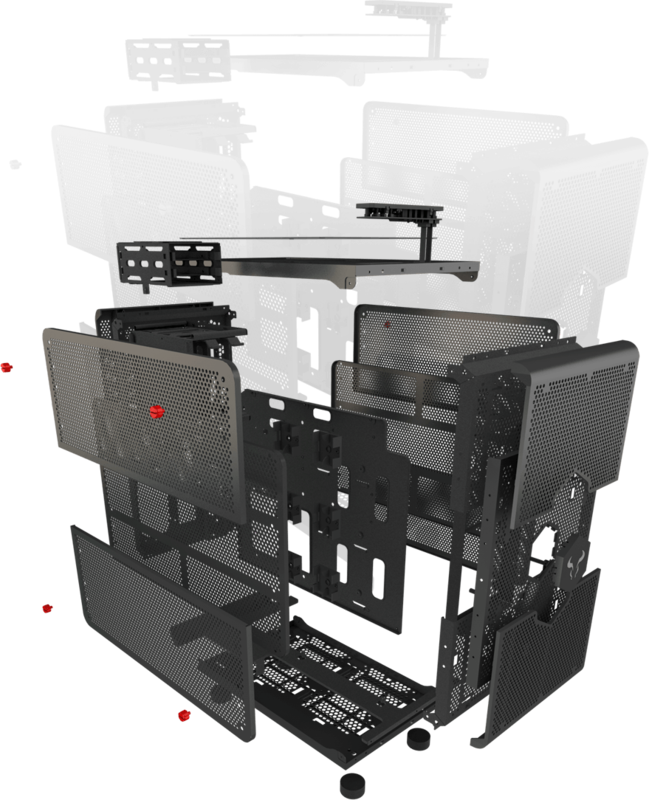 To simplify building, upgrading, and maintaining your system, every aspect of Morpheus has been carefully architected for easy access. 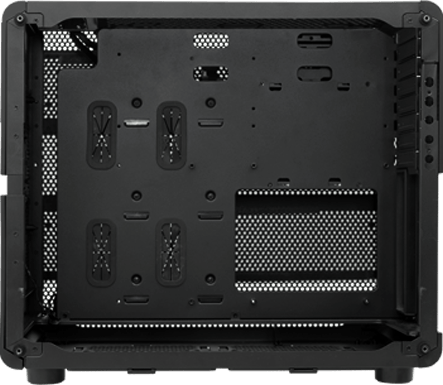 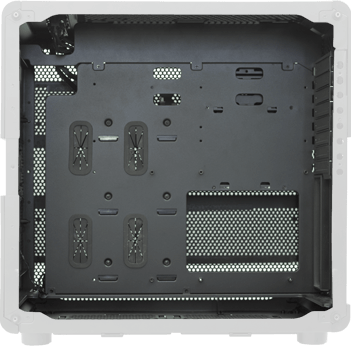 Once assembled , the entire chassis requires no tools to install components, which combined with the strategically placed cable routing channels, drive trays, and cooling bracket, make building Morpheus a snap. 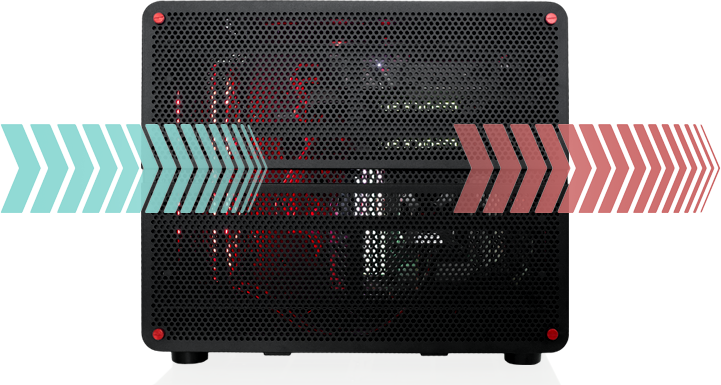 Desktop gaming PCs run hot, especially when aggressively overclocked. Unfortunately, cooling a hot PC often means loud, especially in smaller PCs. 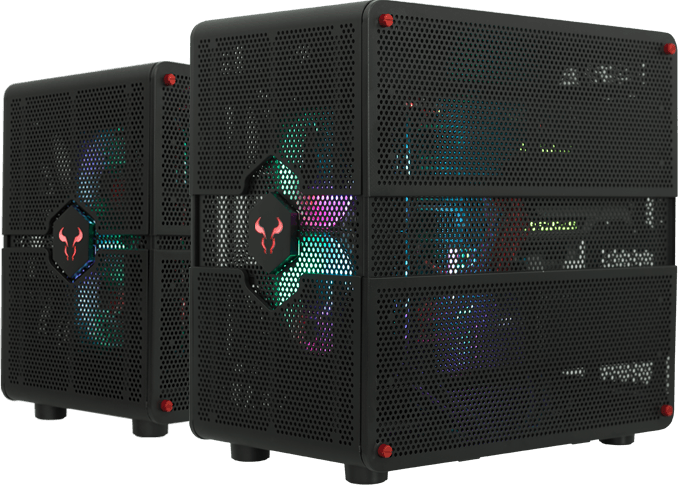 Morpheus is engineered with a streamlined airflow and with nearly the entire exterior perforated mesh to keep your PC’s components running quieter and cooler even in extreme, overclocked gaming configurations. 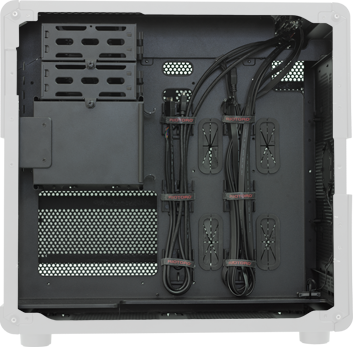 The integrated cable management in Morpheus is carefully designed to provide optimal routing paths and tie down points allowing users to easily secure and conceal loose cables. 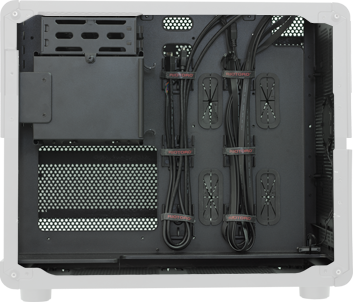 The reduced cable clutter allows for an unobstructed of the rig’s interior through the side window while greatly improving airflow to critical components. 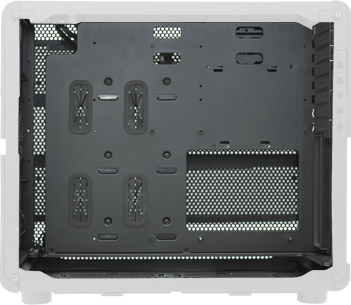 Tool-less maintenance design for improved heat dissipation and aesthetics. 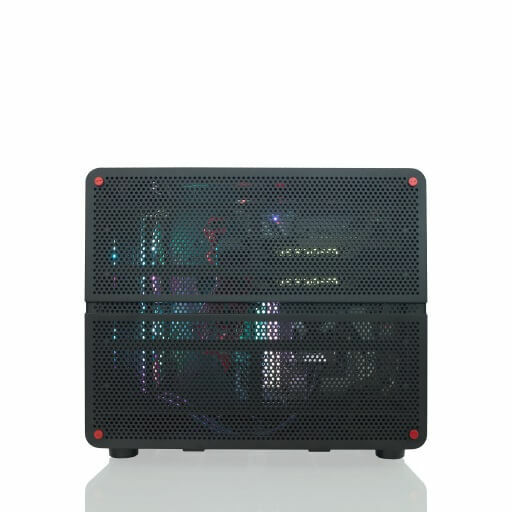 Magnetic removable dust filters make maintenance a breeze, they have been designed to help you keep your computer clean and reduce dust within your build. 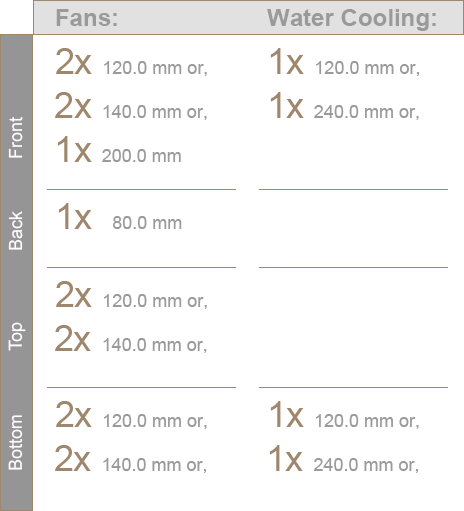 You just need to remove and clean each filter and put into place; no screws… no trays, no hassle.